Berjaya Auto Philippines, the exclusive distributor of Mazda vehicles in the country, has recently concluded its search for the best technicians among its dealership network. The winners will go on to represent Philippines in the Asia Pacific round of MazTech to be held in Shanghai, China in 2016. For 2015, Mazda Quezon Avenue has once again emerged as the champion with the duo of Cris B. Sta. 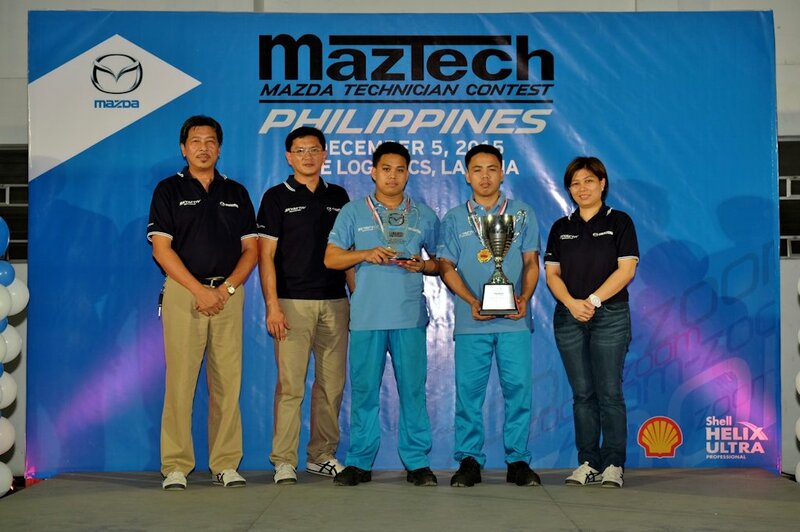 Maria and Garry A. Ambida leading a total of 22 technicians who vied for the top honors in this years Mazda Technician Contest Philippines or MazTech. This is the second year in a row that Mazda Quezon Avenue has topped the annual competition. After ten grueling hours of tests and technical evaluation involving practical problem solving and trouble-shooting last December 5, 2015 at MAZDA PH PDI Center - ACE Logistics Warehouse in Calamba, Laguna, Cris B. Sta. Maria and Garry A. Ambida gained top scores and were chosen to represent the Philippines in the Asia & Oceania MazTech Competition slated for second quarter of 2016. 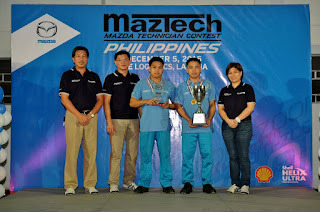 Coming in second to the team from Mazda Quezon Avenue are Mazda Dagupan with the team from Mazda Tarlac finishing third. Ramil De Vera, Mazda Philippines General Manager for Aftersales, is proud of the level of competition in this year’s MazTech. “The skills of our technical team are continuously improving and seeing our provincial dealers field in world-class technicians in this competition is proof that Mazda customers are receiving the same quality of service whichever Mazda dealership they bring their cars to,” says De Vera.